The reassessment of judiciary officials began in November 2017 and will include 800 judges and prosecutors, as well as a number of other members of the judiciary. Since the Justice Reform was instituted, 17 prosecutors and judges have left their positions. To date, only 5 officials have undergone reassessment from the Independent Qualification Commission (KPK). 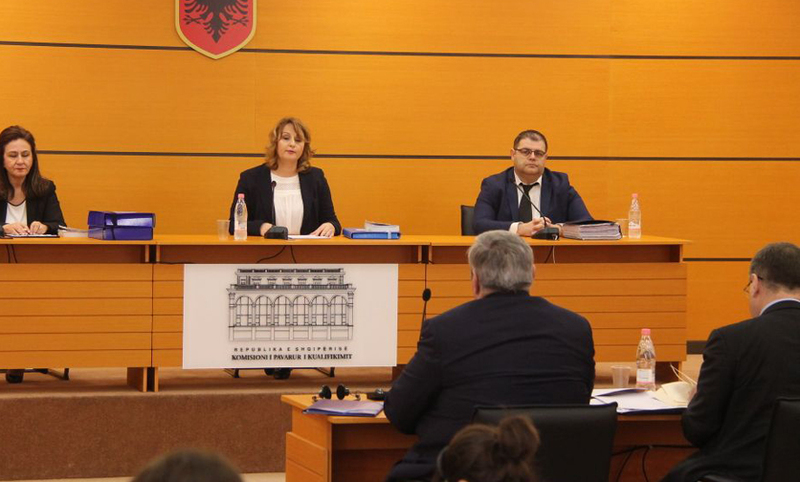 Of those, 3 have been dismissed: 2 judges, Fatos Lulo and Besim Trezhnjeva, and 1 prosecutor, Besa Nikëhasani. All three have been dismissed as a result of their inability to justify their wealth. Even though assessees may appeal KPK’s decision at the Appeal Chamber (KA) – per procedures foreseen in Annex C(2) of the Constitution – until now, none have. Judge Altina Xhoxhaj is still being reassessed. In her KPK hearing, the commission claimed that she was unable to justify her wealth and the amount of cash money under the name of her partner. The decision on Xhoxhaj was, however, postponed, because the judge presented KPK with new evidence. The only judge to have successfully passed the vetting process, to date, is Supreme Court judge Vitore Tushaj.